Here is the eighth in our series of Review Questions from our “What Does This Button Do?” show. These can’t be graded, but if you want to see the discussion of our answers to these questions, you can click the link provided. The link will take you to the time in the specific episode where we start the discussion of review questions. Since we have produced 86 episodes so far, this “Test Your Smartphone Smarts” will be an ongoing series of posts here. 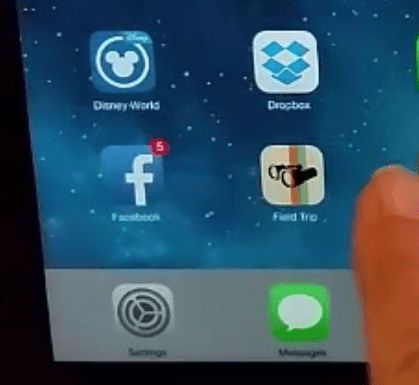 How do you check multiple email addresses on your phone or tablet? Does Sync always delete from the server? iPad/iPhone: Where do you see Widgets?? How do you get the widgets? Android: Where do you see Widgets? To get Dropbox to backup certain files, simply place those files in what folder? To use Dropbox on a mobile device, you must install ____________. Can you view a Dropbox file on a mobile device even when offline? 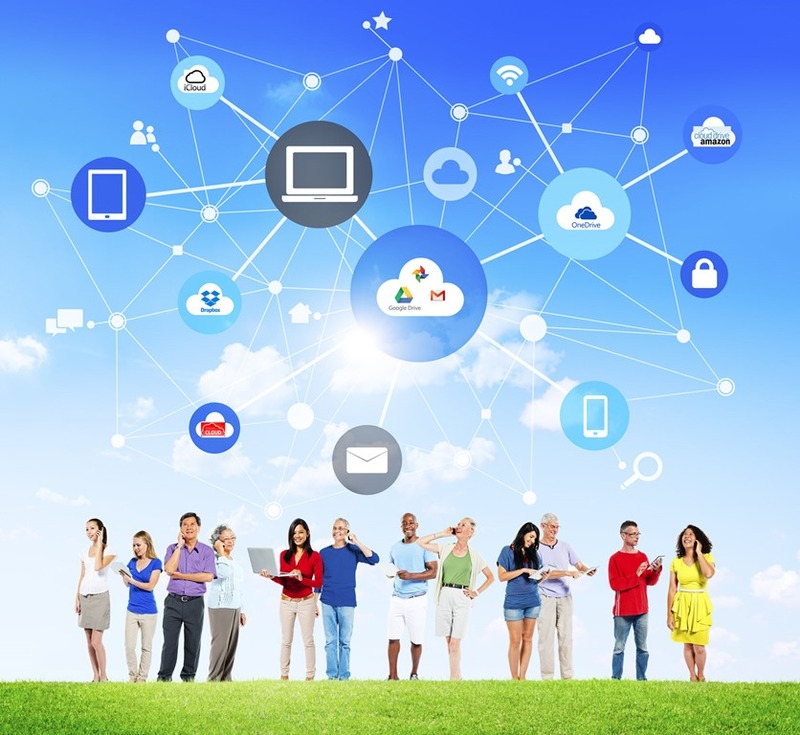 What is “Cloud Storage?” You’ve probably heard of DropBox, OneDrive, Google Drive, and iCloud. These are all systems for Cloud Storage of your files, any kind of computer files. There are also cloud storage systems like Flickr and Google Photos that are specifically designed for storing your photo files. Cloud storage means using the Internet (aka the “web”, aka the “cloud”) to store your files rather than a computer’s hard drive. Sometimes it means using the Internet AND your computer’s hard drive – they synchronize with each other so that the cloud copy and the computer copy stay the same. Make revisions on one, and the system revises the other. The beauty of that type of system is that, when you don’t have an Internet connection, you still have your files on your computer; and when you don’t have your computer, you can get to your files on the Internet. Systems like DropBox take care of keeping the files in sync automatically. Do you know your Account ID? So, let’s say you don’t have your computer – you’re at a friend’s house, or a colleague’s office – and you need one of your files. How do you get it? You need to know your account information. These systems store files for millions of people, they know which files are yours by your account information. An account is usually identified by an email address and a password. It’s like keeping your money in a bank. To get your money, you need to know which bank it’s in. You also need to know your account number. If you walk into a Wells Fargo bank and give them the account number from Bank of America, you’re not going to get your money! Now, imagine that you know your bank is Chase, and you walk into a Chase bank. In the lobby there are colorful balloons, and a sign that says you could win a free trip to Fiji with an account and a $200 minimum balance. You say why not?! You fill out the form and hand over $200 – not realizing that you have just opened a second account. You start writing checks with the new checkbook you got and wonder why they soon start bouncing when you know you have thousands of dollars at Chase Bank. Yes, but that money is in a different account! I’ll bet you’re saying, I would never do that! Ah … but this ‘multiple accounts’ issue happens all the time in the world of technology and Cloud storage accounts – probably because it’s all invisible. You don’t get a checkbook with the bank’s name and the account number written on it. It’s up to you to remember what service you signed up for, what email address you provided as your account identifier, and what files you are storing there. Next time you want to look at your pictures, they’re not there! Why? Because it’s all part of one Google Account, your email, calendar, Google Drive files and your photos. They’re all stored on Google’s servers under an account. If you’re signed in to the wrong account, you won’t see the files you expect. The same is true for your Microsoft account. If you buy a new Windows 10 computer you will be prompted for your Microsoft account when you set it up. Many people don’t know they have a Microsoft account so they follow the prompts to create a new one. When they try to view their files on OneDrive, they’re in for a shock when the OneDrive folder is empty! That’s because OneDrive is a Microsoft cloud storage service where your files are stored under your account! I think it is unfortunate that these systems allow you to set up an account with any email address. That means you can set up a Microsoft account by giving them a Gmail (Google mail) email address. Personally, I find that confusing. I’ve made sure to set up my Microsoft account using a Microsoft email address – that means @outlook.com or previously @hotmail.com. My Apple iCloud account uses an @icloud.com email address. Actually, I wish that online accounts followed the same procedures as banks and issue you an account ID number. Then, you could change your email as often as you like – your account ID would not change. With systems like DropBox that do not offer their own email system, I have my default personal email @gmail.com or my work email @GeeksOnTour.com. Be especially careful using a work email address on any system where you may want to continue having access to those files even after you no longer work there. I have a friend who is an entrepreneur and she decided she didn’t like the website name she had chosen. Let’s say that she had a business with a web address of ITrainCats.com. She used that for her email address as well, Beverly@ITrainCats.com. When she decided to change to ITrainDogs.com she also changed her email address, not realizing it, she lost access to several cloud storage services which were using her old email address as her account ID. Keep it Straight! Write it Down! #34 Photos from Phone to Computer. What Does this Button Do? News: Google announcement: Google Drive can now manage your Google+ Photos. #33 Dropbox part 2. What Does This Button Do? Quick Tips: Using USB drives with micro-USB connectors. #32 Dropbox Part 1. What Does This Button Do? #29 Data Usage. What Does This Button Do? 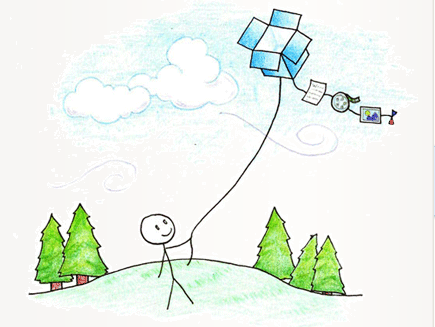 Quick Tips: Dropbox and other services can upload your pictures to the cloud. Do you worry when you leave home that you may need some files from your home computer? Do you worry when you travel that anything you create on your travel computer may get lost or destroyed before you get back home? Do you worry that the pictures you take with your phone will get lost or destroyed before you are able to transfer them to your computer? Do you worry that the USB drive where you keep your important files will get lost or destroyed, or that you didn’t update it with your latest work? It ISN’T Apple, Microsoft, or Google! So it’s not tied in any way with one of those accounts, and it works well with ALL. It does the best job of Synchronizing among all your computers and mobile devices. Synchronizing means that Dropbox keeps a copy of your files on your computer – in the Dropbox folder – AND in the Cloud – in your Dropbox.com account – and it takes care of ensuring that when either one is updated, so is the other. All you have to do is save your file in the Dropbox folder on your computer, and Dropbox will create, or update, the corresponding file in your Dropbox.com account. It will also update that same file on anyone else’s computer with whom you have shared a folder, and make it accessible to any device that has the Dropbox App installed. 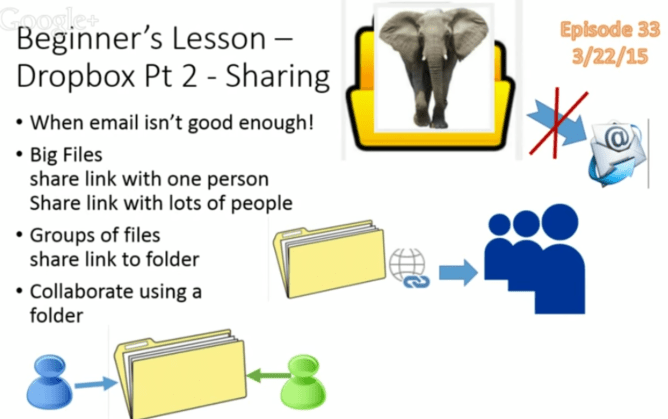 Share a folder for a group of people to collaborate on project files, even when those people are spread all over the world. Work on a file locally when you have no Internet connection, and it automatically synchronizes to the web and other shared group members when you do get online. Create a group photo album where everyone automatically gets a copy of the pictures on their computer – not just a shared web album. Start working on a file on your laptop, continue working on the same file on your iPad or Android smartphone. Automatically upload all photos taken with a mobile device to your Dropbox.com account – AND synchronize with whatever computer(s) you have set up. Using Dropbox has definitively eliminated any worries I have about my computer files. I know that I have access to all of my files and pictures (and they are the current, updated versions!) wherever I am and whatever computing device I happen to have available. I’ve been using Dropbox long enough now that I have actually forgotten what it is like to worry about my computer files. I don’t have a computer backup system any more. If a file is important to me, it’s in my Dropbox folder. In fact, I no longer use My Documents folder – unless it’s an unimportant file. I use my Dropbox folder in lieu of my Documents and I set up as many subfolders as I need to store my stuff. The initial free allotment of space in your Dropbox account is 2 Gigabytes. For $10/mo you can upgrade that to 1Terrabyte. But, there are also many promotions that allow you to earn more free space. You can sign up for dropbox using this link and both you and I will get 500MG extra free space! Every traveler needs a Dropbox! For more information, see the Dropbox Tour. If you are a Geeks on Tour member, you can watch these videos. Ya benar kamu tak salah baca!!! hanya disini agen judi bandar Q online bersama duit original yg tiap-tiap member bakal lakukan pendaftaran & berdeposit paling murah. waktu ini, main berjudi di bandar Q tak memerlukan budget yg amat sangat gede, pun anggaran yg mahal atau serta akses yg susah. dikarenakan, di situs judi bandar Q online terpercaya ini sediakan nominal deposit yg mampu dibilang murah meriah & amat terjangkau bagi seluruhnya kalangan. tapi, dgn tersedianya system deposit yg pass murah ini kamu tak berarti mampu bertaruh dgn asal-asalan atau setidaknya menunggu keberuntungan dari pengocokan card yg bakal datang terhadap kamu dgn nilai paling tinggi. trick main-main bandar Q online ini memiliki tidak sedikit sekali taktik, salah satunya ialah sanggup kamu lihat di dalam kolom anjuran main yg sudah disediakan, disana terdapat beberapa susunan card beserta tata kiat tentukan pemenangnya. maka, bagi pemula sekalipun sanggup dgn teramat mudahnya buat tentukan langkah seterusnya yg di memilih. jika kamu main judi bandar Q online cuma bersama kiat yg asal-asalan, meski dana yg kamu taruhkan ini tergolong murah, kamu tidak dapat sanggup meraih satu buah kemenangan yg utama, kamu cuma bakal mendapati kekalahan pula kerugian saja. seandainya kamu rasa bahwa kabar atau tips main judi bandar Q online paling murah ini belum lumayan & kurang kumplit, maka kamu mampu terhubung forum judi kami di bandar Q online yg telah sedia. Disana, dapat ada tidak sedikit sekali penjelasan-penjelasan yg dapat dapat kamu ketahui & menolong mendalami tentang permainan judi bandar Q online husus bagi pemula. Long before we took to the road in our RV, we had a computer training center in Fort Lauderdale, Florida called Computer Savvy. We were a Microsoft Authorized Training Center and one of the classes was Mappoint. Mappoint was a very expensive mapping, routing, and demographics database program. As an authorized training center we had our own copies of all the software, including Mappoint. So, after we sold the training center and became RVers – we figured we’d give Mappoint a try for planning and navigating our travels. Mappoint’s inexpensive little brother is called Streets and Trips. We installed it on our laptop, bought the USB GPS receiver for it and found a place to mount the laptop in the cab of our 30 foot Class C motorhome. That was our sole mapping and navigation program for our first few years on the road – 2003-6. Here’s the very first video we made about MS Streets and Trips. Then came the Garmin dashboard GPS, the Rand McNally, and Google Maps on our Android smartphones. Streets and Trips had to take a backseat while we played with all these new toys. But, we still used Streets and Trips when we had time to sit at our computers and dream about our future plans. There’s a lot of good things to be said about all of those while you’re driving and want voice-directed turn by turn directions, but nothing beats Streets and Trips for the planning part. 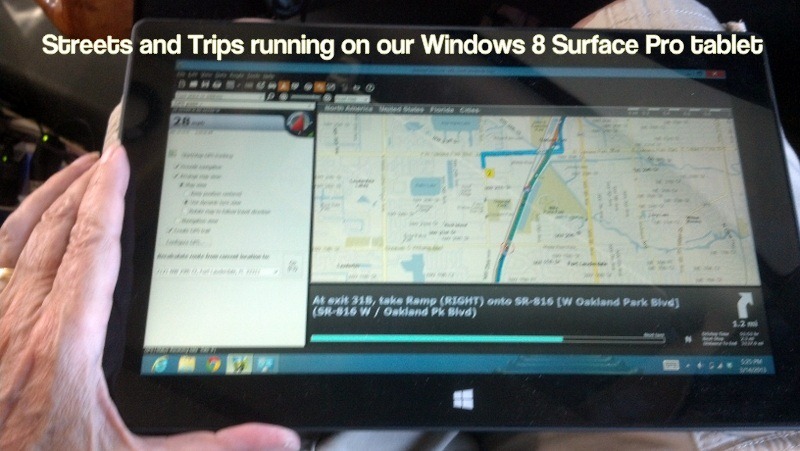 Now, with our new MS Surface Tablet that can run Streets and Trips, we may even start navigating with it again. We plan our entire summer. The specifics will change many times, but we like having an idea of the long term plan. This year we’re leaving Florida and going to Gillette, Wyoming. In S&T I entered a starting point of Fort Lauderdale, Florida – an end point of Gillette, Wyoming and route options that we only drive about 4 hours/day. It plots a course and shows me with a little moon icon where we’ll need to stop. Now comes the fun part – finding places where we want to stay. I love the little moons that indicate the general area we should get to at the end of each day. That gives me a starting location to look for places to stay. Thousands of places are built in to the software and you can see them by zooming in to a place and finding nearby places, like campgrounds. But, there are some campgrounds that I will go out of my way for, so I like to see them on the big picture. Thousand Trails is one of those. We have a membership and have paid for the year regardless of how often we stay at a Thousand Trails park. Like a gym membership, it’s more valuable the more you use it, so we want to use it at every possible chance. A special file that you can download for S&T is called the POI Megafile. POI stands for Points of Interest, and this megafile combines hundreds of sets of them, including Thousand Trails. Once I open the POI Megafile and find the Thousand Trails pushpin set, I can set it to be visible and I will see the Thousand Trails logo at any place on the map where a TT park exists. 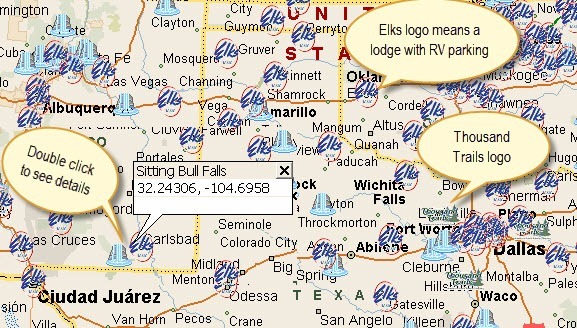 Another set I like is Elks Lodges with RV parking – we joined Elks a few years ago and enjoy using their RV parking amenities. Then there are specialty points of interest like waterfalls and hot springs – two of our favorite things where we like to stop. One problem with Streets and Trips has been solved by the Cloud Computing system called Dropbox. You see, Streets and Trips is a regular old computer program that creates a file for your work. So, if Jim created our summer travel plans and I wanted to look at it, I would have to go to his computer. Or, I would ask him to give me the file on a thumb drive so I could look at in on my computer. And, if I made any changes, I would need to re-save it to the thumb drive and give it back to him – making sure he updated his computer file with my new file. That just didn’t work. Enter Dropbox. When you sign up for a Dropbox.com account, it creates a folder on your computer called Dropbox. This is a magic folder! Jim now saves the SummerTravelPlan.est file in his Dropbox folder and ‘shares’ it with me. I have also installed dropbox so I have the magic folder also. Whenever we are connected to the Internet (most of the time) Dropbox will check our shared dropbox files and make sure they are synchronized. It goes like this: Jim adds a stop to our summer plan on Streets and Trips, saves and closes the file. Dropbox notices that the file has been updated and uploads the trip file to the Cloud and, since it is shared with me, it also downloads the new file to my computer’s dropbox folder. Next time I open up our summer plan, I am seeing the latest file that Jim worked on. Now I make a change and the process continues in reverse. My dropbox notices my change and synchronizes up to the cloud and down to Jim’s computer. It’s our own private network. On our Geeks on Tour Learning Library, there are 13 video lessons on how to use Streets and Trips, about an hour and a half. The first 3 are free for anyone to watch, the rest require a Geeks on Tour membership.